We have almost made it through 10 days of our A Very Toddler Christmas Newsletter series and I have been having so much fun! 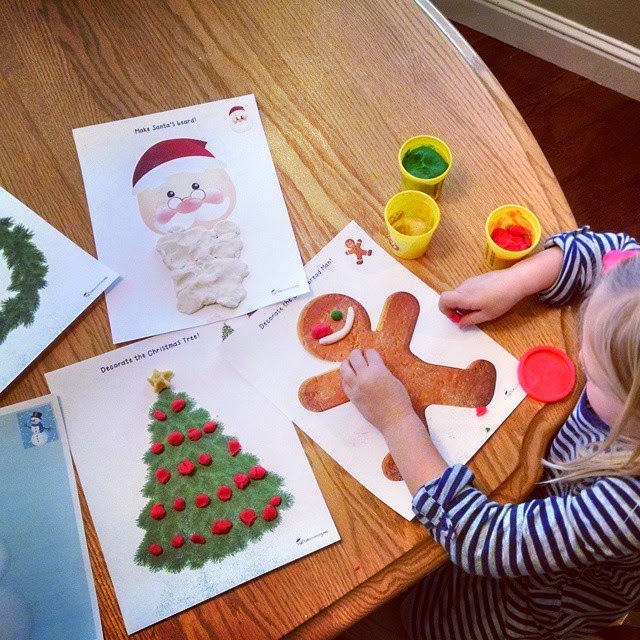 The goal of the newsletter series is help parents do one holiday themed activity each day with their kids for 23 days! It is not too late to join. Sign up here. We are on Day 10 today! We have over 7,000 people that have joined in for this year and more keep getting added daily! 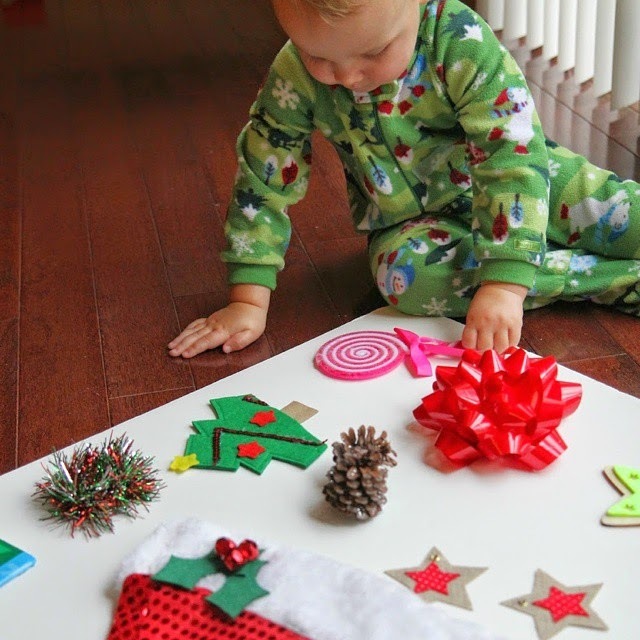 Here are 10 of our favorite Christmas activities for toddlers. We have tons, so it was tough to narrow it down. 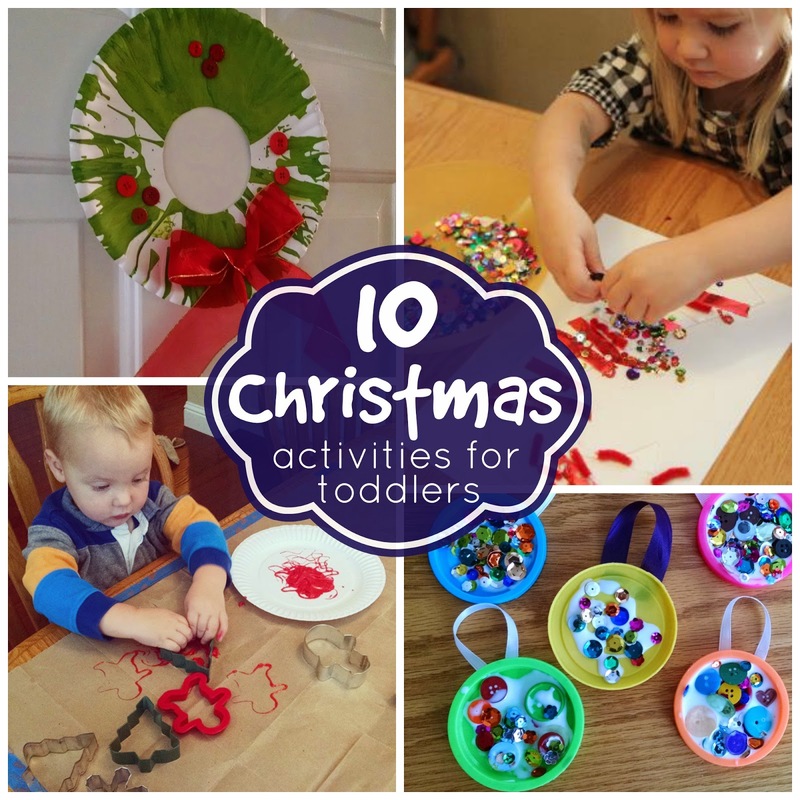 Some of these activities were featured in our A Very Toddler Newsletter series and some were featured on the Toddler Approved blog. All activities we share need to be done with adult supervision. It is up to each parent to decide what they feel comfortable doing with their kids. 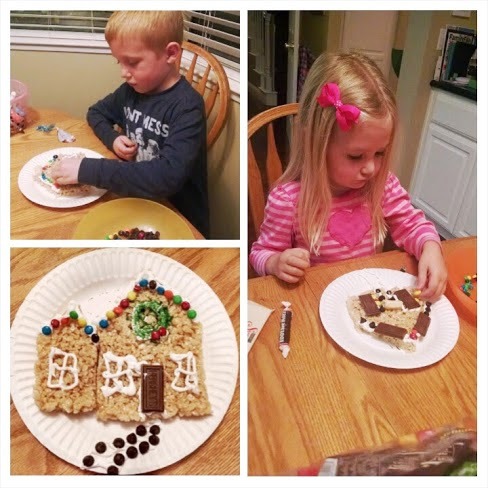 We shared about how to do this cookie cutter activity here on Life Your Way. Just make rice crispy treats, cut them into flat house shapes, and decorate! 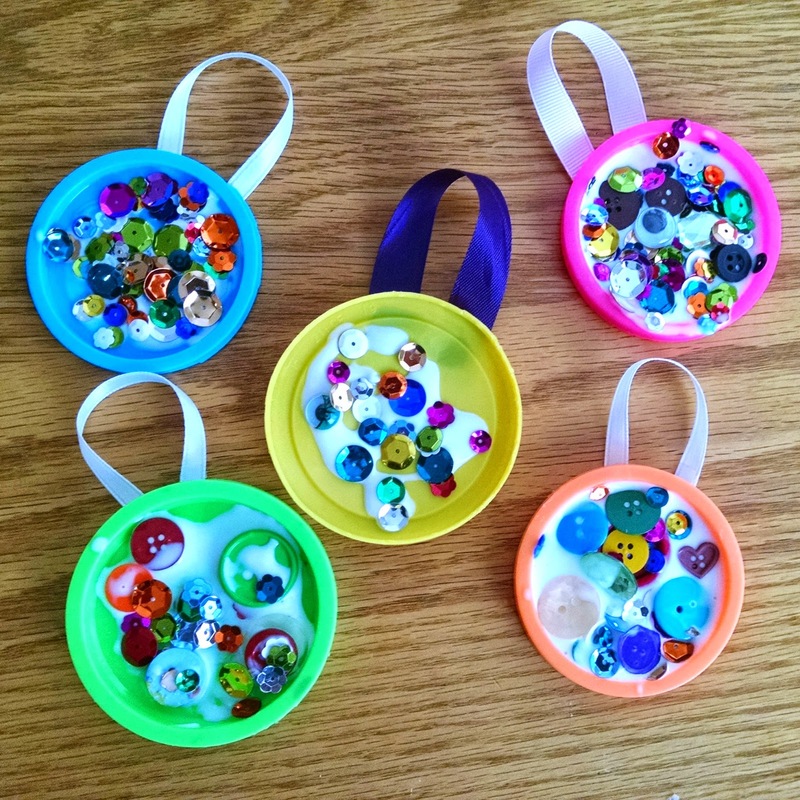 For this activity you need a paper plate, a salad spinner, green paint, glue, ribbon, and some buttons. All we did was spin art using the paper plates and paint and then we cut out the hole from the center. 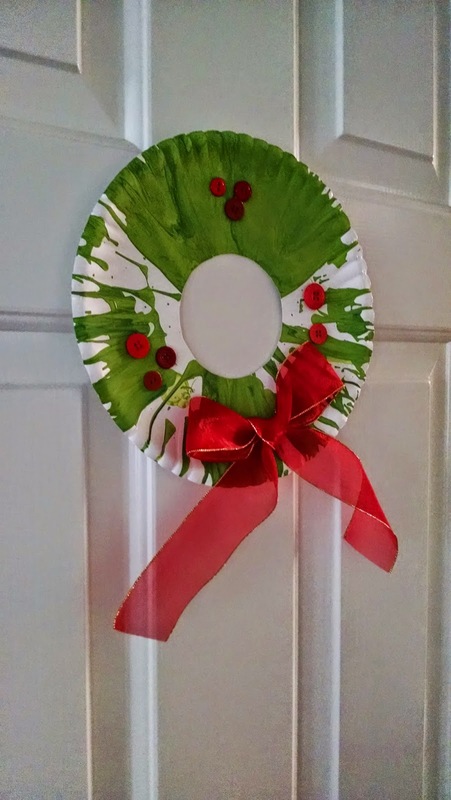 We added buttons and ribbons once we were done and the wreaths turned out cute! Grab some lids, add some glue and sequins (or other embellishments), hot glue a ribbon to the back and your ornaments are ready to do! You can find my free simple activity cards here. All you do is tape them to the floor, and then tell your child to throw a soft ball at each picture when you tell them to. We love this activity! 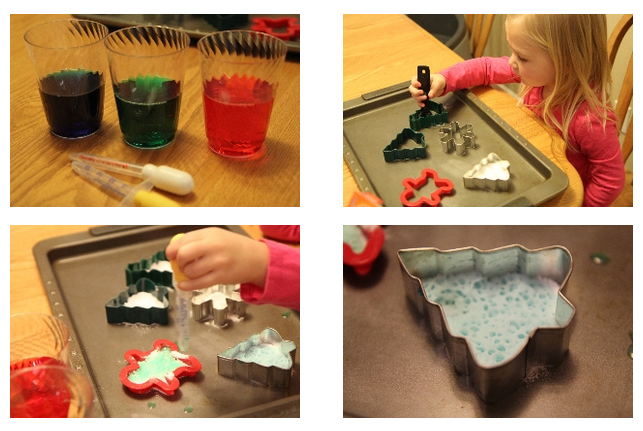 Check out Inspiration Laboratories for a detailed description of their Christmas science. 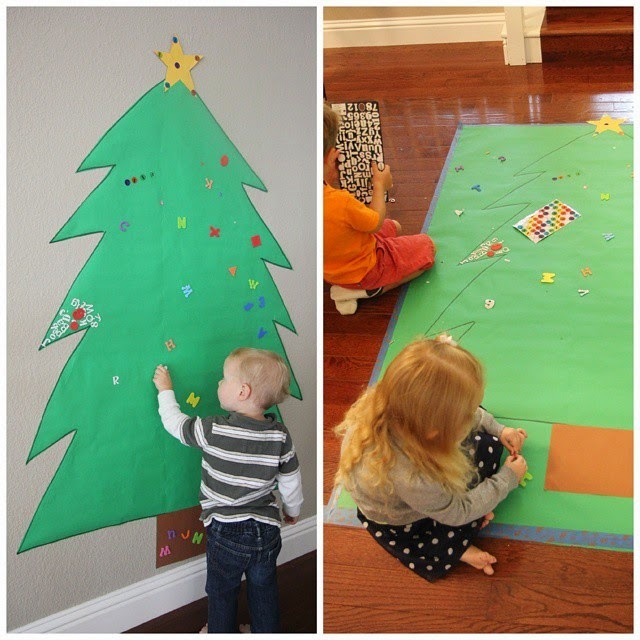 For this activity you just glue on a candy cane shaped piece of paper and then add any embellishments. My kids poured wads of sequins on the floor accidentally. Picklebums and Totschooling both have some awesome ones. We printed out both sets of them. This is a super fun sensory (and calming) activity for kids. We started out on the floor and then we moved to the wall. 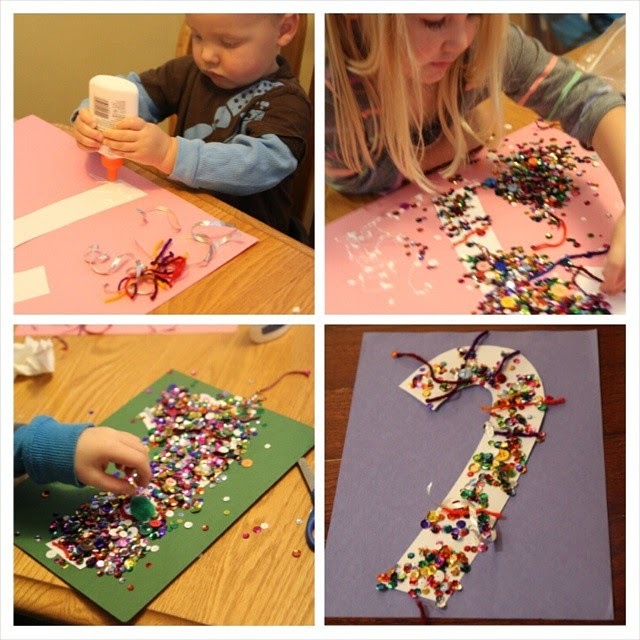 Kids created their own ABC tree after reading Chicka Chicka Boom Boom. You can read all of the details about this sensory board activity here. 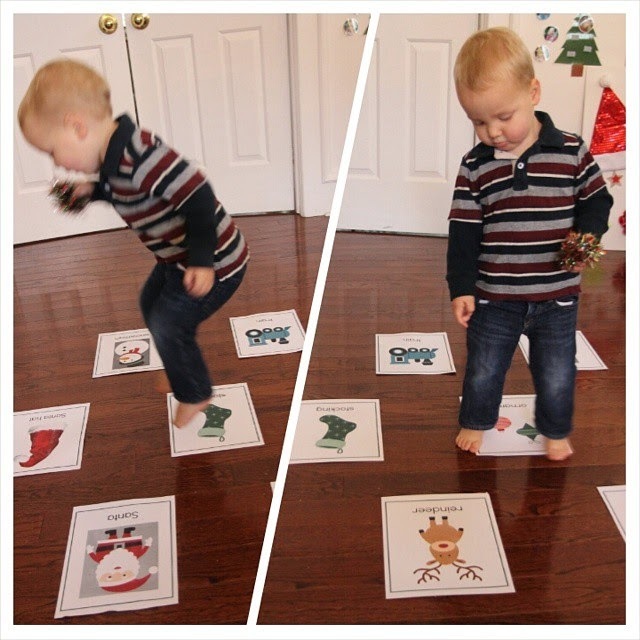 Do you have any other favorite Christmas activities for toddlers? Tell me about them in the comments! Having a difficult time printing the playdough mats...anyone else? Which ones? I linked to two different sets on two different blogs. Measure each child with ribbon. Arrange them on the wall and have a discussion with children about putting size in order. Then, use the ribbon to tie around a present to the parents. Attach a tag that says the ribbon is the same size as the child. Parents LOVED this! What about for young toddlers? These activities seem more towards 2.5/3 yos. Would a 22m yo be able to do these? It is less related to age and more related to your child's developmental stage and interests. 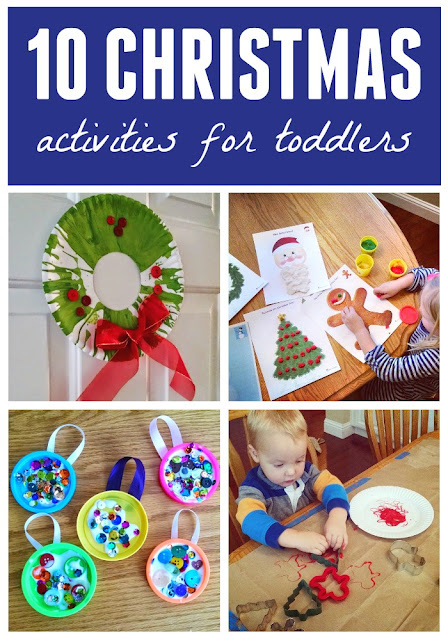 I have done these activities with kids ages 18 months and older. Pick one that looks interesting and try it. Your child will let you know if they like it or not. 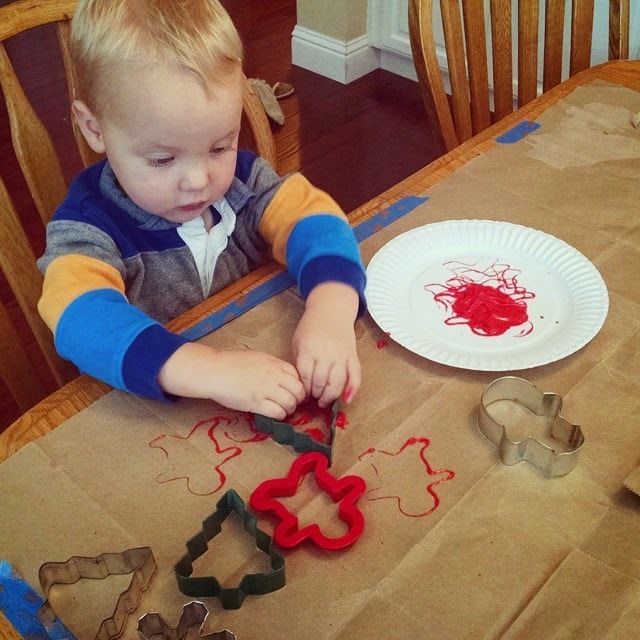 Cookie cutter painting is easy for even the littlest ones as is the Christmas toss game.